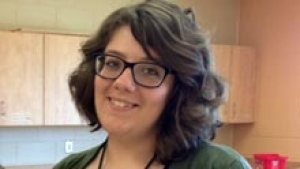 This week, I’d planned to write on the minimum wage in New Brunswick (which will be tied with the Northwest Territories for lowest in the country once Alberta and Newfoundland-and-Labrador increase their rates in the next two months) and how it affects women (women age 20 and over are the largest demographic earning minimum wage in New Brunswick). That was the plan, but then Beyoncé performed at the annual MTV Video Music Awards and I finally had to give in to writing a column about beloved Queen Bey. Here’s some background on Beyoncé and feminism and why this is a big deal to many: Beyoncé’s songs have always featured themes of economic empowerment and independence for women; celebrated bodies that aren’t traditionally regarded as desirable under racist, colonialist, patriarchal standards; and held up supportive friendships between women as important. In 2006, Beyoncé unveiled an all-female band, The Sugar Mamas, that she tours with and features in many of her videos (during her 2013 Superbowl half-time performance, the Sugar Mamas’ musical director and lead guitarist, BiBi McGill, played a solo centre stage next to Bey, occupying a space typically reserved for male musicians). Given this context (and the fact that Beyoncé is an incredibly successful artist and business person), folks have been eager to hear Beyoncé declare herself a feminist. In 2006, she disappointed many when UK Harper’s Bazaar asked if she was a feminist and she responded: “I don’t really feel that it’s necessary to define it. It’s just something that’s kind of natural for me, and I feel like . . . you know . . . it’s, like, what I live for. I need to find a catchy new word for feminism, right? Like Bootylicious.” (Bootylicious being the title of a track with her former group, Destiny’s Child). A celebrity singer shying away from the label of feminist isn’t uncommon: Lady Gaga has done it (though she’s come around to embracing it), Katy Perry has said she believes in the strength of women but isn’t a feminist, Kelly Clarkson isn’t interested in the title, and both Sarah Jessica Parker and Madonna claim to be humanists, rather than feminists (sigh, that word really isn’t a gender-neutral alternative to feminism). After releasing her new album containing this explicitly feminist track, Beyoncé also participated in an initiative related to Sheryl Sandberg’s Lean In campaign and contributed to the Shriver Report on gender equality. And then there were the VMAs. Feminism is an often-maligned term, one that can be a difficult to claim; a term that one often pays a price for claiming. Given this, it was incredible to see Beyoncé, a former non-feminist, the most popular entertainer in the world, savvy business person, perform to the words of Adichie and then stand proudly, even defiantly, in front of the word feminist, claiming it for all to see. It’s not just the fact that Beyoncé claims the label that warms the cockles of this feminist’s heart, but also the fact that Beyoncé complicates white, middle-class conceptions of feminism. As I’ve mentioned in previous columns, social movements, even progressive ones, centre their most privileged members as well as the needs and priorities of those members. In the women’s rights movement, this has meant that women who are racialized, poor, disabled, immigrant and/or queer have often been marginalized within our efforts. When Beyoncé proclaims herself a feminist and then puts forward incredible work that is informed by her identity as a black woman, we have to confront ways in which feminism has been narrowly defined and consider the intersections of various forms of oppression, including not just misogyny, but also racism and classism. For instance, in early 2013 Beyoncé (who at this point had not yet released her new album, but was clearly growing increasingly interested in addressing gender-equality) announced a new world tour: The Mrs. Carter World Tour – Carter being the last name of her husband, Jay-Z. Many critiqued the fact that Beyoncé was choosing to drop her universally recognized first name from the tour’s title and simply become a Mrs. His Last Name (especially given that that she and Jay-Z both took each other’s last names upon marriage, becoming the Knowles-Carters). Black feminists and womanists were quick to point out however that white feminists were forgetting to consider a historical context in which black families were destroyed and torn apart by the state, and on-going racist narratives that position black women as unlovable and as unfit partners and parents. Using the title of her tour to signal family-status could, therefore, be a radical and inspired choice by Beyoncé. Similarly, Beyoncé’s work (particularly her videos and live performances) is often critiqued for sexualizing and objectifying women. White feminists, however, need to check our white (and, often, class) privilege and remember that black women’s bodies have been treated very differently than our own historically and in terms of pop culture. Framing a particular kind of body as desirable may be understood as problematic when simple analysis is used; when intersectional analysis that considers more than gender is employed, we may see transformative potential that we initially dismissed. 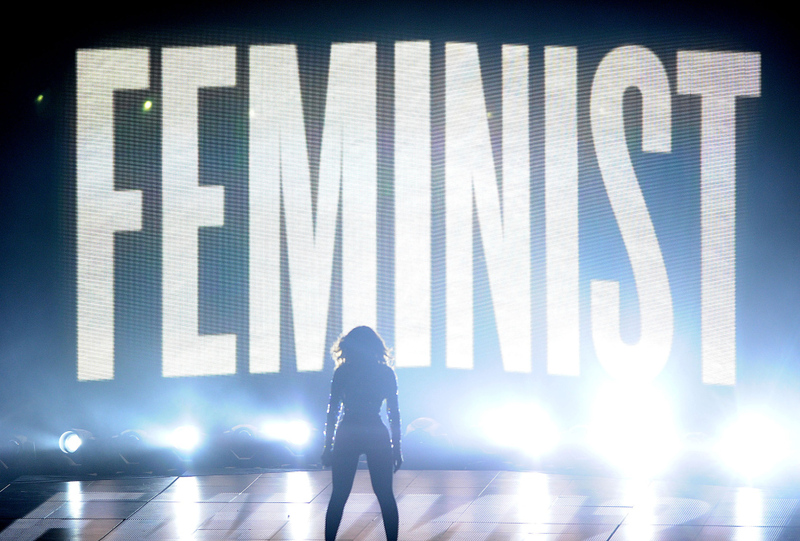 Just as feminism can’t be about simple analysis, Beyoncé standing on stage at the VMAs in front of the word feminist wasn’t just about de-stigmatizing the term, but also about challenging feminism to be broader, deeper, and more inclusive. Source: Originally published in the Times & Transcript on August 28th, 2014.